"What a thoroughly enjoyable and entertaining afternoon...I particularly enjoyed understanding the allusions in the poem a little bit more every time I read it through. You are so creative"
"What a very nice way to spend the Sunday afternoon"
Eldroth Church recently hosted an afternoon of "Words and Music with Tea" when local poet Veronica Caperon launched her newly published collection "Two Left Boots". Even the heavy rain failed to dampen the delight and enthusiasm of the audience. Veronica’s poetry, drawn from her life experiences, struck chords with many and was moving, funny at times, and accessible. Veronica is delighted to have her first collection of poems published by Fisherrow Press. In "Two Left Boots" you'll find her natural funny, touching and instinctive style. The subjects of her poems range from hair to heaven, love to libraries in a variety of forms and an easy, open style. Lively, varied, tender, humorous, full of affection yet never sentimental, these are poems to read over and over. I loved the nature poems, those dealing with friendship, illness and love. My favourite was the wonderfully wry 'Ladies of the Committee' which made me laugh out loud. Whichever subject she chooses, Veronica brings to it the same warmth and directness...There is much vivid and precise observation about the natural world, there is humour and there is quiet...much to enjoy and to ponder, in these carefully wrought, yet always accessible poems - love, loss, landscape, laughter – what more can we ask? The poems are warm and, full of verve and humour, fly along even though they are packed with a load of detail. This could weigh them down and cause confusion but it is vivid, well-observed and relevant. The simple language is a great asset, but she can vary it with technical terms drawn from computing and photography which she does effectively and with wit. Poet, playwright and photographer, Veronica's work is funny, touching and instinctive. Her poems range from hair to heaven, love to libraries in a variety of forms and an easy, open style. She loves crafting words into a way of communicating ideas. "I love the way 'playwright' suggests that writing plays is a craft, a constructive, honing exercise, in the way a wheelwright creates something useful like a wheel". 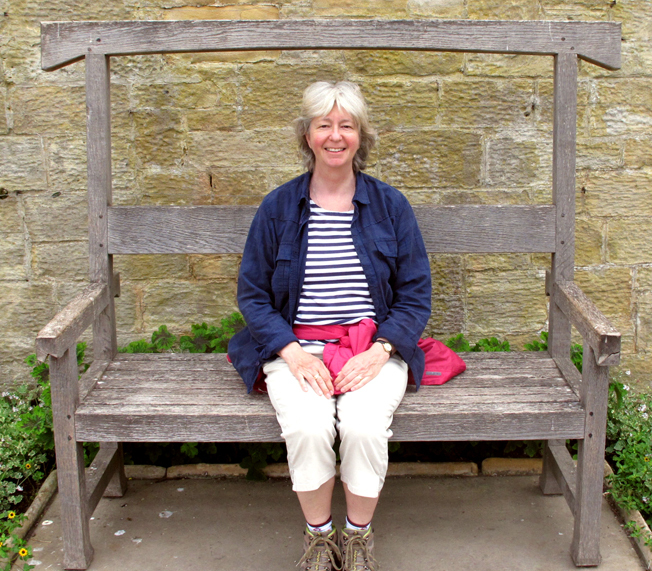 Her work has appeared on Radio 2 and in a number of anthologies, and she chairs and comperes the successful Settle Sessions which bring leading writers and poets to North Yorkshire. She has judged poetry competitions for children and adults across the country. She has written and produced numerous one and two act plays to critical acclaim, and is half of the comedy-drama duo Lippy Logic which tours festivals, village halls and anywhere else that will have them. Veronica is married with a grown-up daughter and lives in The Forest of Bowland across the road from the Yorkshire Dales, where she is never lost for words but frequently short of time.